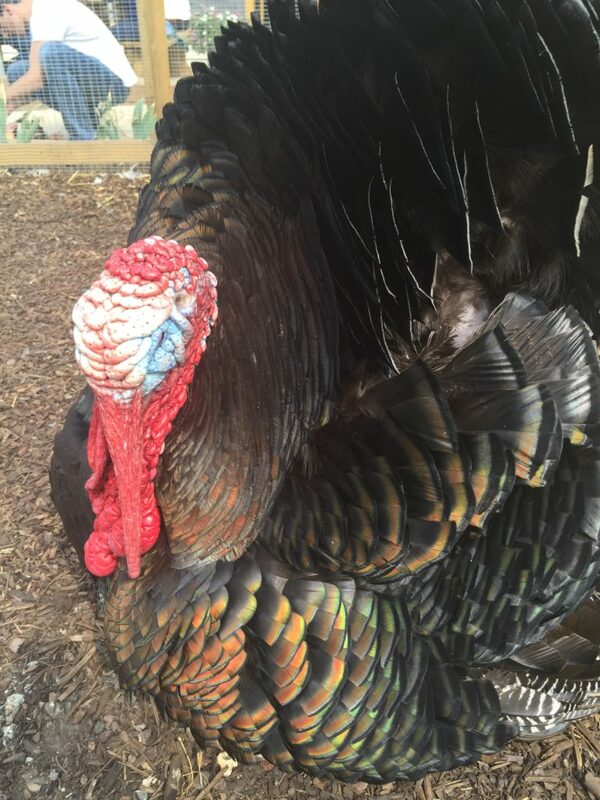 Trevor is a Norfolk Bronze turkey. Trevor is also a living, breathing mood ring. When no one is watching, or when he’s just chilling by himself, the skin folds all around his head and neck are pale blue. His snood (the skin that hangs down over his beak) even shrinks up to look like a pale pink, soft unicorn horn. 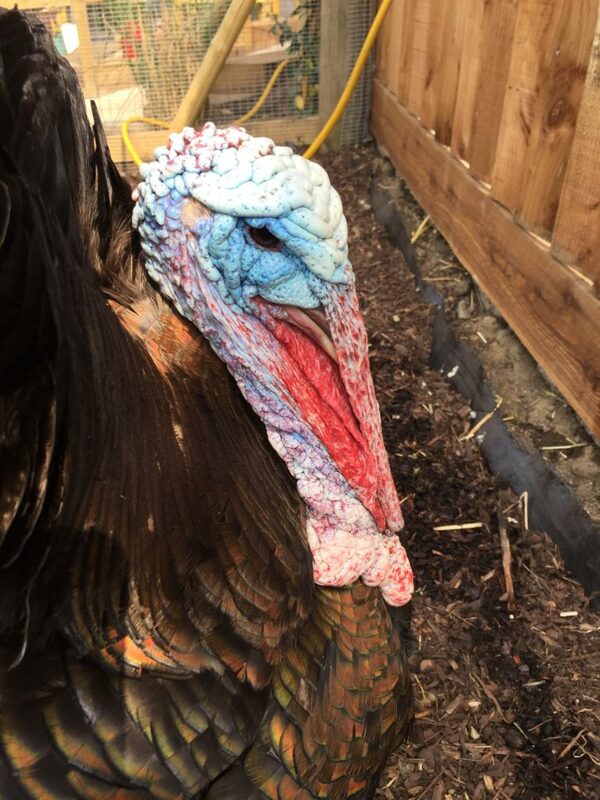 When it’s time to show off, Trevor sends blood to the skin around his head, his snood lengthens and hangs over his beak, and everything turns bright red. It is definitely a sight to behold. And it’s very easy to actually see the message that Trevor is showing off and wants attention. With us humans, we don’t have mood-ring-like folds of skin on our heads. (That’s an image, yes?) Our skin flushes or changes a bit when we get embarrassed, angry, excited, etc., but it’s relatively subtle. One of our responsibilities in interacting with other humans is to translate feelings into words. Which is not always so easy. Maybe in those moments when I feel the blood rushing to my head or my skin flushing, I can think of Trevor, take a moment, and see if I can translate what my body is displaying subtly into words. And maybe that’s why communication is so massively important to me in both my personal & business interactions. So my listening and my words can take the place of the mood-ring-like folds of skin I sometimes wish I had (well, you know what I mean).